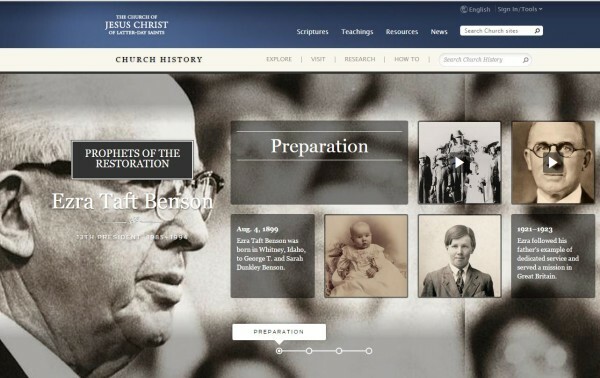 The Church History Library has created a new online exhibit on the life of President Ezra Taft Benson. This resource gives insight to President Benson’s life, teachings, and his testimony of Jesus Christ. You will see personal photos of President Benson throughout his life, as well as video clips of experiences he had during his life and the lessons he taught. The exhibit also includes a recent address by Sister Sheri Dew where she shares her personal experiences with President Benson, of whom she previously wrote a biography. The online exhibit is available in 10 languages and is found online at history.lds.org.